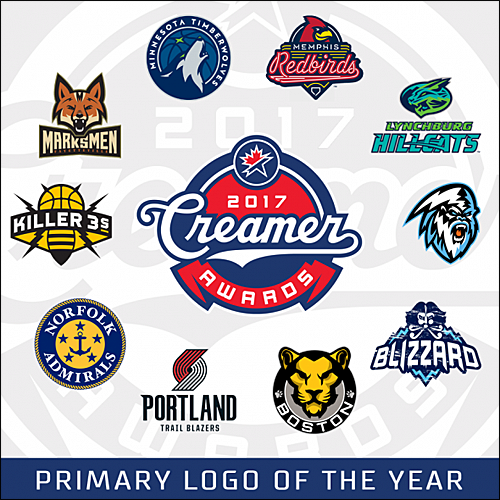 SportsLogos.net, a website dedicated to the history of sports logos and sports uniforms, has announced its annual "Creamer Awards" for Best New Logos of the past year, and the Portland have been nominated for the Best Primary Logo. 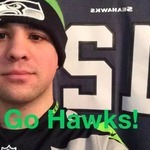 The Creamer Awards are named after SportsLogos.net founder Chris Creamer. The annual awards consist of the Best Primary Logo, Best Alternate Logo, Best Event Logo (such as the MLB All Star Game) and the Best Anniversary Logo. According to Creamer, the guidelines for the annual Creamer Awards are determined by average rating scores by users visiting the website. Logos worn in a game in 2017 are eligible. The Blazers' primary logo was updated last May, coinciding with the NBA's switch from Adidas to Nike beginning with the 2017-18 NBA Season. Portland's new primary logo currently sits with a 6.3/10 rating on SportsLogos, based on 216 votes. In the team's press release, the upgraded logo retains the iconic five lines on each side to represent the five players on both sides of the basketball court. The colors in the new logo were re-arranged in the pinwheel. The red, which was on the bottom of the logo, has been moved to the top, while the silver has been replaced with white. The logo color scheme, and the red at the top, is based the team's former logo design from 1990-2002. The lines representing the players on the pinwheel also became connected by a straight diagonal line at the ends, which symbolizes "teamwork." According to the team's press release, the player lines are also now at a 45 degree angle, representing the 45th Parallel, a symbolic trail to the Northwest region. In addition to the updated primary logo, the Blazers updated its wordmarks. The team used an italic font for the wordmark since 1990 and updated it with serifs on each letter beginning in 2002. The new font is no longer italic and is described as a "Northwestern" font with serif accents on the P and the T in "Portland." The team's logos were designed by Boston graphic designer Frank Glickman. According to ESPN.com, Glickman is the cousin of Harry Glickman, who was the Blazers' first general manager. The winners of the Creamer Awards will be announced in the upcoming weeks and will be determined by a team of fifteen judges that include both logo and uniform enthusiasts. The 2017 Creamer Awards have been revealed. The Trail Blazers did not win best new Primary Logo of the year. Surprisingly, the Blazers new logo came in 4th Overall (out of 50), just behind the PCL's Memphis Redbirds, the NBA's Minnesota Timberwolves, and the WHL's Kootenay ICE.